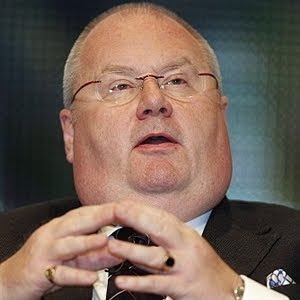 Eric Pickles – the first Secretary of State in the UK Government to attempt to remove Check-Off in the DCLG. He failed. Unions in the Civil Service face a herculean task in needing to get each and every union member to effectively re-join their union following Francis Maude’s pressure to withdraw the ability of union members to pay their subscriptions direct from their salary. The challenge is one other unions can learn from. In his article for Civil Service World on the challenges currently faced from the Cabinet Office’s campaign to attack independent trade unionism in the public sector Mark Serwotka describes the challenges to trade unions well. In the dying days of the last Labour administration, I said if you judged a government by how it behaves as an employer, it was the worst we had ever known. But let there be no doubt, this current crop of ministers – who I hope, come May, will all be following in Francis Maude’s footsteps, packing boxes and saying their goodbyes to staff – have far outdone their predecessors. Look at their civil service record. Ninety thousand jobs gone; pay and pensions cut, causing living standards to fall by up to 20%; redundancy terms slashed; working conditions rolled back; a hated and discriminatory performance management system; and more politicisation of the senior ranks. Inseparable from this is the treatment of trade unions. We know how much further the Tories would seek to restrict union rights if they are re-elected. They have already cut facility time – which we also know benefits employees, employers and the wider economy – and, since 2010, they have degraded industrial relations beyond recognition. In the name of austerity, budgets and remits are so tightly controlled that the fiction of delegated bargaining plays out as both comedy and tragedy. But it is the move against my union’s finances that is the real give-away. After Eric Pickles’s failed and costly attempt in communities and local government in 2013, the Home Office was the first major department to confirm its withdrawal late last year, followed by the Department for Work and Pensions. These hasty removals only make logical sense in the context of the general election. Tory ministers, fearing defeat, want to do as much damage as possible while they still can. Despite the fact many large UK companies still use check-off because they recognise it is efficient, Maude claims there is nothing untoward about his mission to remove it. And in a frankly bizarre twist of reality, he has cited the fact we are signing up our members to pay by direct debit – a Herculean task to effectively re-recruit at short notice tens of thousands of people – as evidence that we agree with him. But if there is no political motive, there is no rush. If it is more appropriate for a union to collect its own subscriptions, we could reach an agreement for a smooth transition over time that would not leave us out of pocket. That is, quite obviously, not what is happening. There is little doubt that the move is intended to target organised labour in the UK Civil Service. When the removal of Check-Off was first attempted by the Department of Communities and Local Government (DCLG) led by the Conservative minister Eric Pickles the rationale was financial. The costs of administering the fund – estimated at £300 per union – were purported to be an unfair burden on UK taxpayer’s. In his attempts to save £300 a year for the UK taxpayer Pickles incurred legal costs – paid for by the UK taxpayer – of £90,000 after PCS successfully sought an injunction against the decision on breach of contract grounds. When consultations were ongoing PCS actually offered to meet the costs of the check-off system from the government so there is no question that the decision was not based on finance, as the Lib Dem Treasury Minister Danny Alexander himself more recently confirmed. If not finance then what? It is I think simple – without an organised trade union it is all the more easy to push through detrimental changes in terms and conditions. This also explains the government’s eagerness to split the the collective voice of members (e.g., by granting Unison recognition rights), sidelining recognised unions from collective negotiations as proposed in HMRC, and supporting the establishment of staff association such as that in SOCA. And, by moving to directly to remove check off, and therefore impact on the ability of the union to meets its financial obligations Francis Maude may have hit upon the most effective means of threatening trade unionism in the civil service. 18. Some employees who are trade union members pay their union subscriptions by deduction from their pay at source. The money is then passed direct to the union by their employers. Employers are not required to provide this facility – known as‘check-off’ – or to keep making such deductions indefinitely.Where employers do choose to provide this service, they may also choose to charge the union for the administration involved in doing so. 19. Many councils seek to recover the cost of providing ‘check-off’ facilities by charging trade unions a proportion of the value of the fees collected – for example, from 0.5% to 5%. We consider that charging for collecting trade union subscriptions is one example of sensible savings that can be made in local government. Alternatively, local authorities have complete discretion to terminate such arrangements, and allow trade unions to adopt their own ways of collecting subscriptions (e.g. bank Standing Order or Direct Debit). In point of fact, as DCLG was to find out, the claim of “complete discretion” for local authorities was misleading. In Hickey and Anor v Secretary of State for Communities and Local Government  All ER (D) 24 the court decisively found the far from having “complete discretion” the decision of the department to withdraw checkoff was in actually in breach of contract. But that decision has not dissuaded the Conservatives, cheered on by the likes of Conservative Home, from pushing through the removal of check off in departments even though there may be a contractual right to have deductions of union salaries direct from their salaries as there was in Hickey. Study your contracts of employment – In PCS I think, even with the important win in Hickey we have been too reticent in pursuing breach of contract or JR proceedings. A robust, prompt and publicised legal challenge would have sent a message to other department and give pause for thought for some departments; although such a challenge is still possible it is in some already sense too late – the decisions have now already been made. So the advice is plan a case now – hopefully you won’t need to lodge it but if you do have your evidence lined up and get the case in early. One or two early wins could stop prevent a domino type run of check off withdrawal. Talk to the members – and non-members. This sounds any obvious one but the decision meant we have had to get out to members where they worked and engage directly with their concerns, essentially we had to recruit them to the union all other again. Do not rely on emails, sadly most members simply to do not read them. And don’t forget the non members too – the campaign to re-sign members to the union was also a boon for recruitment figures as thousands of new PCS members have joined the union. Don’t screw over your allies – employers have their ploys to undermine the union voice in a workplace and one of these is to play off one union against the other. Don’t fall into the trap and allow yourself to be a tool in someone else’s war. I will post more on this later but while here it was Unison taking the thirty pieces of silver Maude offered them and accepting union recognition (against a fair number of objections from the Unison ranks but which others had been advocating) there is no reason other employers will not use – for example – GMB to undermine Unison etc in other local authorities across the UK. Solidarity should be something unions live and breathe. The tactic was clear, encourage members to ‘union shop’ and so reduce the collective voice of workers as members are faced with the conscious decision to maintain their union membership. If you recruit new members onto check-off then stop. As the threat to check off became clearer PCS changed its application forms to only accept new applications with a direct debit mandate, even if an applicant’s employer allowed check off. In due course there will be a debate in PCS about whether the NEC (or, more likely, previous NECs) were too slow in making this change, but that is a debate for another day. However, a look at my branch records would reveal that had such a decision been made at the time the Conservatives came to power then the branch sign up rate to direct debit subscriptions would have been around 25% rather than the less than 5% it actually was when a decision to remove check off was announced. I cannot emphasise enough how much of a headstart that 20% would have made made to our organising efforts. So, if you allow new members to join onto check-off stop it now. Quite apart from anything else the industrial logic of having a union’s financial security in the hands of an employer they sometimes find themselves at loggerheads with is negligible at best!